I am a sucker for skincare that is good (and clean) enough to eat, so when I find a line of products that’s made entirely of organic botanicals, with not a single additive, preservative or chemical in sight, I get giddy. Bee All Natural has a lovely line of products that are not only so clean and natural you could eat them (thought to be clear, I generally don’t recommend eating your skincare), but are absolutely jam packed with skin feeding nutrients to soothe, protect, nourish, and heal. Every single organic ingredient has been carefully selected for it’s skin feeding properties, and after using the line on myself and my little on for the last month or so, I can attest to the difference that level of attention to detail makes. I’ve been using the Organic Luminous Face Serum every day, and am obsessed with the way it leaves my skin glowing, hydrated, radiant, and never greasy. The super absorbent formula is made with pretty much a who’s who of the most potent organic oils (argan, rosehip, evening primrose, hemp seed, and jojoba, just to name a few) that are known for their anti-aging, anti-inflammatory, and antioxidant benefits. 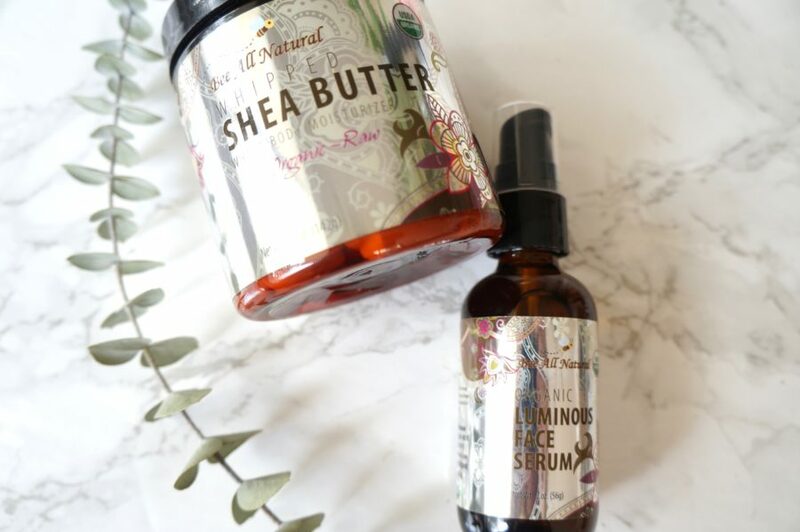 At night, I slather the Whipped Organic Raw Shea Butter on any dry patches on my body (feet, elbows) as well as on any areas prone to stretch marks (hips, thighs). With only one ingredient, the purest raw organic shea butter, I can feel my skin reaping the benefits of this remarkable skin food. In addition to being remarkably hydrating, shea butter feeds the skin with essential fatty acids and nutrients that are necessary for collagen products, making it supremely healing for aging, scarred, or stretched skin. 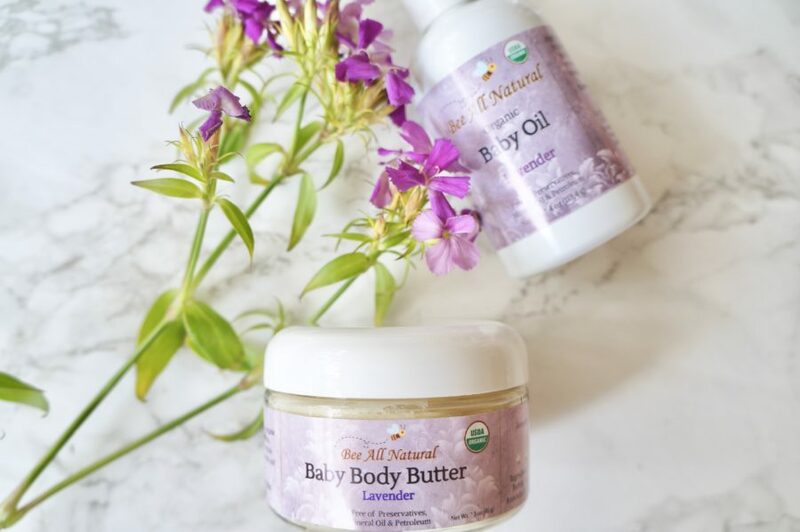 Shea butter is also the star ingredient of the Organic Lavender Baby Body Butter, which is lovingly blended with soothing organic coconut oil, cocoa butter, sunflower and avocado oils, along with organic lavender essential oil and rosemary extract. The result is a luxuriously thick and hydrated baby moisturizer that hydrates and protects baby’s skin, while healing irritations like rashes and eczema, without the use of harsh chemicals or preservatives. I use the body butter on her thighs and back that can get a bit dry and bumpy. For all over use, I am in love with the Organic Lavender Baby Oil, that has just four organic ingredients: sunflower oil, calendula infused avocado oil, rosemary extract and lavender essential oil. We’ve been using it every night after bath time, and not only does it smell absolutely heavenly, but it is so healing and nourishing for my little one’s sensitive skin. Both products are amazing for babies with eczema, cradle cap, or other skin irritations, as well as babies with normal skin that you want to protect with the most natural and clean ingredients. 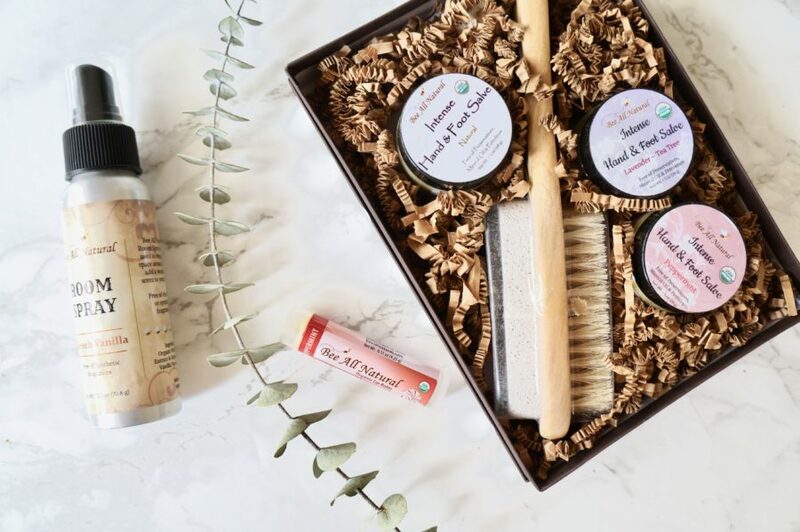 For a beautiful gift, check out the Bee All Natural Organic Baby Gift Set that features these two lovely products, along with Diaper Rash Salve, Baby Powder, and the Baby Body Butter Stick. Check out Bee All Natural on their website, Facebook page, and Instagram. And use the code “FACEBOOK” to receive $10 of an order of $30 or more. I want you to feed your beautiful skin too! Head over to Instagram and enter to win the lovely Bee All Natural Soft Feet Gift Set and All-Natural Room Spray! The gift set includes a trio of Organic Intense Hand and Foot Salves (in Natural, Peppermint, and Lavender/Tea Tree), which harness the power of shea butter alongside other powerful plant oils to soothe, heal and hydrate chapped hands and cracked heels. You also get a pumice stone/foot brush to help your tootsies stay in tip top condition. And because I love you so much, I’m throwing in the Room Spray in delicious French Vanilla to have your home smelling comfortingly delicious, without any added chemicals.